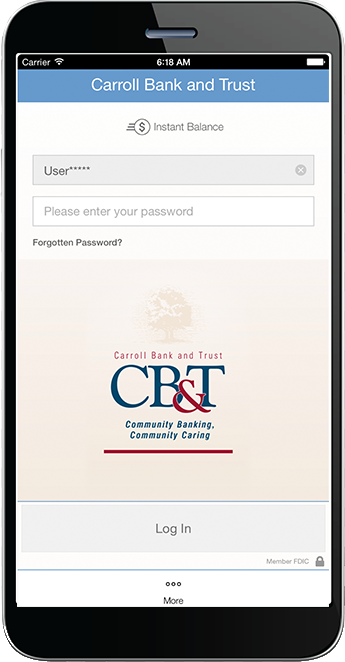 My Mobile Money Access, a new app offered by Carroll Bank & Trust will help you control and monitor card usage anywhere, anytime using your mobile phone. With My Mobile Money Access you can protect your card from fraud by setting alerts and controls to determine how your card can be used. And, if you misplace your card, you can use the app to turn it off . . . and then turn it back on when you find it! Download the app today and check out www.mymobilemoneyapp.com for videos to on how to register your card and more!